"there were cracks in the glossy veneer of swagger that coated the weekend"
A lot of cheerleading came from Liberal party members and the party faithful as the Liberal party held its 2018 national convention in Halifax, from April 19 to 21. 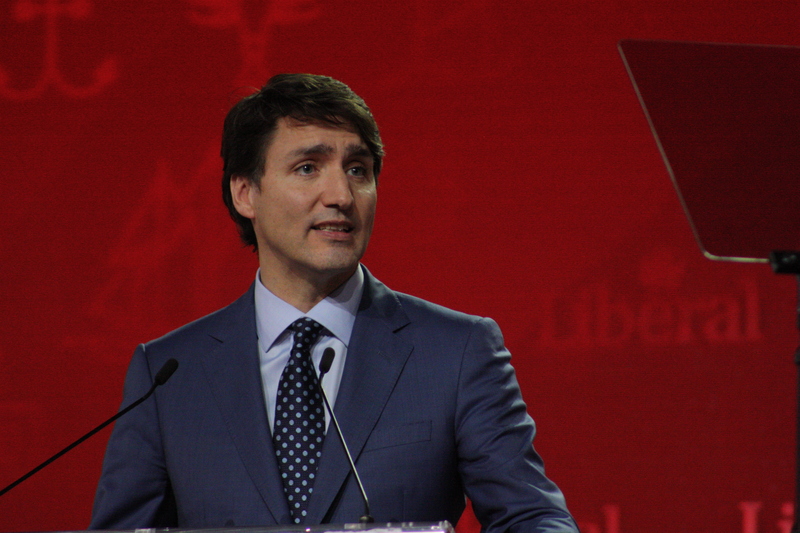 The three-day Liberal convention was to let everyone know how great the Liberals are doing at governing the country and to prepare for the 2019 federal election. Atlantic Canada turned majority-red in the 2015 election, and the Libs chose the capital of Nova Scotia to host their annual convention. The convention also allowed for party members to network and share what worked in their electoral districts to get their candidates elected. There were training sessions to prepare party members to run an election. The main goal was to get party members from across the country together to vote on policy proposals and decide on the direction the Liberal party platform will take in the 2019 election. But, there were cracks in the glossy veneer of swagger that coated the weekend. For part of it, there was great emphasis put on the positive politics of “sunny ways.” The philosophy first found in Aesops’ fable The North Wind and the Sun, first voiced in politics by seventh Prime Minister Wilfrid Laurier and then co-opted by the modern Liberals in the 2015 election. The message is simple: Positive politics. Powerful change. It would be effective if the Liberal party were doing either positive politics or powerful change. On Friday, day two of the convention, the Liberals handed out “press packs” that were essentially personal attacks and cheap shots in a bag. 5. And @AndrewScheer isn’t the boss. @JustinTrudeau is. 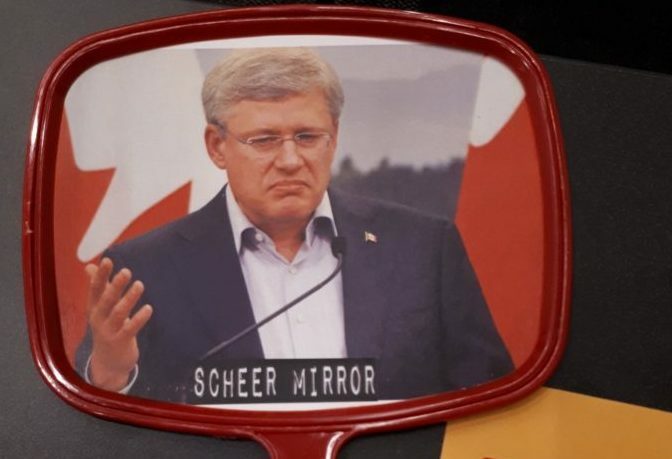 The coasters are saying essentially that Trudeau, Harper and Scheer are all the same. 8. This is the most time and money I’ve ever seen put into a “joke” that barely cracks what a 10 year old can come up with. 9. How many people approved and worked on this “joke” that really just goes to show that @JustinTrudeau should be on the other side of the coaster. New boss same as the old boss indeed. On Saturday, Bill Morneau took a cheap shot at the Conservative party. Not by name, obviously, because that would be negative politics. “No personal attacks” – Justin Trudeau. Guess that doesn’t count because it wasn’t him personally? If only he was in some sort of position of leadership within the party to enforce the positive politics part of sunny ways. Can you imagine? If he was the leader of a party touting sunny ways then that claim would really ring hollow. While there are many examples – like continuing to discriminate against gay men donating blood unless, of course, they’ve abstained for a year. Or when the Liberals claimed they would be more transparent. Except one is only a good policy if sexually active hetero people can’t get HIV/AIDS. And if their party made sure the other applied to their government (it doesn’t), and didn’t redact their transparency policy before releasing it (they did). The most glaring failure of real change remains the promise of electoral reform. Following the life-and-death of the Liberal promise of electoral reform is the best example of how real change becomes meek stagnancy. On their 2015 campaign trail, the Liberals promised that 2015 would be the last election under first-past-the-post. Things did look bright at first; Trudeau made his cabinet have gender parity. They started to work on electoral reform: a committee was formed. For those who don’t know, committees are where the real policy work gets done. They research the given problem or topic, call experts and use all of this information to craft the policies that get voted on in the house. Committees are how evidenced-based policy-making happens. A poll from Angus Reid said about 37 per cent of Canadians wanted electoral reform. It’s worth noting that under our current first-past-the-post system 37 per cent is enough for a majority government. That lack of broad support has never seemed to hold a majority government back from enacting policies. But in the case of electoral reform, that isn’t enough “broad support from Canadians” for the Liberal government to take action, according to their Democratic Institutions Minister Karina Gould. Although the blame for this landed squarely at the feet of Gould’s predecessor Maryam Monsef. Once electoral reform made it to committee, there was instant criticism of Liberals giving themselves too much power. And then, they said it was too hard to get consensus within the parties. Then, they consulted with Canadians. They made MyDemocracy.ca – a biased quiz that wouldn’t load if users had a privacy app that blocked the quiz’s access to Facebook. At the time, this seemed like a silly little quirk, but now with Liberal ties to Cambridge Analytica that seems far more damning. Monsef, in her role as minister of democratic institutions, was the face of Liberal inaction. Critics said that she, at the behest of the party, was slowing down the process so that electoral reform would die and other parties would be blamed. As it became clear that this ‘broad support’ wasn’t there and the government didn’t really want to change the electoral system that brought them into power, Monsef was shuffled into a new cabinet position. She was, in essence, sacked and turned into a scapegoat for why electoral reform didn’t happen. Nothing says feminist prime minister quite like throwing a BIPOC woman under the bus, so a handsome white guy can hold onto power. But, to be fair, that didn’t happen in 2015. Sunny ways, as it’s being used today, is paying lip service to the ideals that Wilfred Laurier first embraced when talking about school boards. This ‘talking-point-politics’ is eroding the faith that people have in the system. It’s one of the reasons right-wing populism is becoming so popular among the disenfranchised. Sure, promising to build a wall is unrealistic and probably never going to happen. But is buying into a promise like that really any more naive or stupid than buying into the Liberal promise of electoral reform? Unlike electoral reform, there’s honesty in the promise to build a wall: there needs to be a wall to keep people that aren’t accepted out. That’s it. Despite everything else that is so very wrong with the policy, it has a simple honesty. It’s that honesty that the voters want. The answer is that lobbyists and big companies would be upset. MP @DougEyolfson is currently complaining that there will be pushback from big companies so they cant do it. That is a hard pill to swallow for people think that a majority govt has the power to make change. A majority government shouldn’t require policy approval to do the right thing because companies and lobbyists will be upset. Voters are upset that companies bottom lines are being put over their needs. And somehow, parties are still asking why people are cynical and angry enough to vote for people like Trump or Ford. Don’t tell people politics has changed for the positive, and then not change. Don’t tell people that ‘real change’ is happening and then carry on as usual. We’re smarter than you give us credit for. We’re angrier than you think. Give us real change or get out of the business of governing. ← Why can’t we do math?